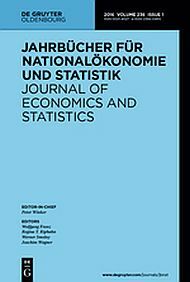 This paper contributes to the literature on the determinants of children’s human capital by analyzing the effects of birth order in Germany. These effects are typically attributed to sibling rivalry for parental resources. For our analysis we use data collected as part of the German Life History Study on birth cohorts 1946–1977. We find a substantial positive impact of being first born on the probability of completing higher secondary education. Analyzing gender differences, we find stronger effects for boys. Furthermore, birth order effects are more prevailing in small families. The results are discussed against the background of equal opportunities in the German educational system.